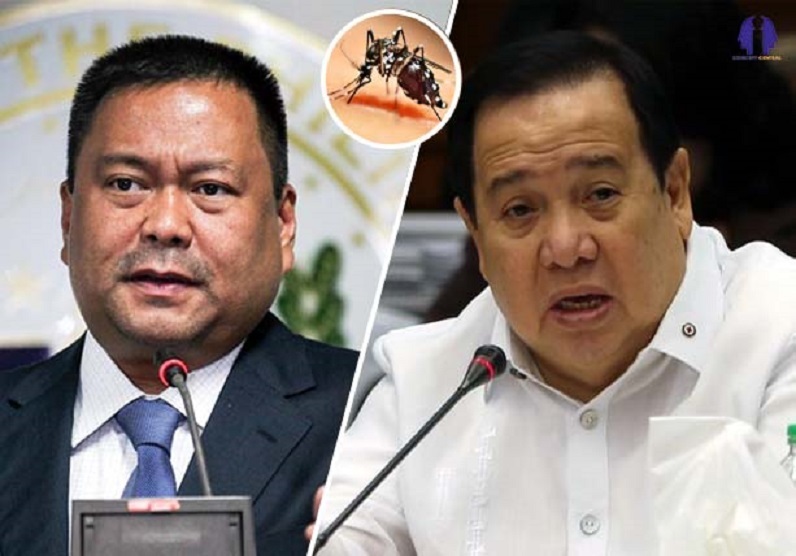 Sen. Joseph Victor Ejercito is still not convinced that former President Benigno Aquino III has been a pillar of Dengvaxia mess and over the graft and corruption therein committed as reported by the Senate Blue Ribbon Committee chair Richard Gordon. The immunization program took place nationwide but killed children of 43 as of Public Attorney's Office and the mounting is possible. The allocation of P3.5 billion went in questioned as the efficiency of Dengvaxia fell into pit inclusive to misinformation and haste implementation. Though Ejercito just signed the committee report released by Sen. Richard Gordon but he has second thoughts about it. “When you sign a committee report, it does not mean that you agree. It is just ministerial, so we could debate on it in the plenary…We will ask questions in the period of interpellation,” Zubiri said. Every little that thing goes wrong in the present admin is blamed on PDU30. Why? Because he is the over all leader of the government. It is called command responsibility. How can such a big amount of money, in the billions, be released by Abad without the BS Aquino knowing about the deal? The BS Aquino knew about the deal because he even went to France to negotiate for the PHL or probably for himself.